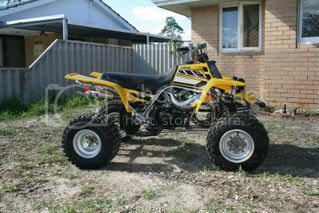 OZ ATV :: The Australian ATV Forum :: View topic - Anyone up for Lancelin this weekend? Anyone up for Lancelin this weekend? Posted: Wed Apr 02, 2008 10:22 pm Post subject: Anyone up for Lancelin this weekend? I'm thinkin of going for a squirt up there this weekend, any takers? Posted: Wed Apr 02, 2008 10:29 pm Post subject: Re: Anyone up for Lancelin this weekend?